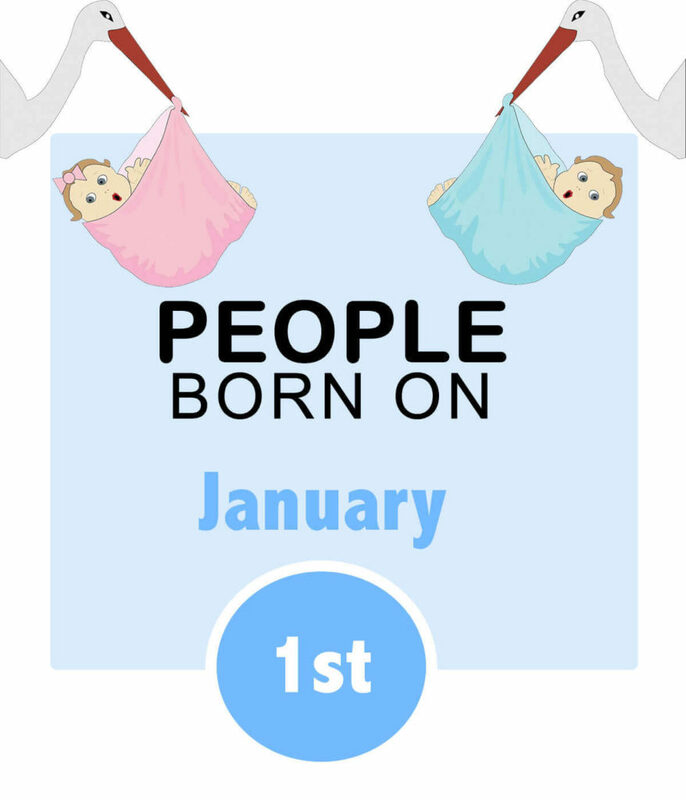 Numerological Personality Traits of people born on January 1st. People born on this day have a lesson of recognising their weaknesses in themselves and learn to not fixate on their expectations too much, but rather learn to manoeuvre their way around the negative focusing on positive outcomes of their ventures. The lessons to greatness are based on believing in self and focusing on the results of success, the mistakes along the way are nothing but a lesson learned in the past. Learn lessons and teach them as the voice of knowledge to people. Learn to be flexible in your adventures and remember when one door closes the another opens, if not, there is always the window. Your biggest challenge in life is most definitely your attitude to every step you make. So it is time to stop the battle inside you for mistakes you have made. The past is in the past. Rehashing the mistakes will only keep the ball of negative assumption rolling. It is time to turn the attitude into positive beat and build up the powerful vibration of trust and belief in self and accept every challenge you are facing and turn it into success. Raise your bar high and expect nothing less than greatness out of it. It is time to live up to numerological value of number 1 and be the innovator and leader on your own path. Create the powerful energy to succeed and exceed your own expectations. With the powerful influence to lead your mindset must always be set on belief that there will always be a better plan, better situation, better world even. Even though sometimes the heavy burden of things not going your way brings out anxiety and remorse, and feels like endless dark pit you are falling into, after wallowing in it you always know to find your way back out with the what if attitude. So what if there is that other way of making things work. You have that charm of an enthusiastic know it all, whom people come to for guidance. You are good at finding goals for others to achieve, and know how to evoke their drive to do it. Your “know it will work out” for them is the good fortune you attract upon them and assure the success. Now that very same thing you do achieve on yourself, but only once you jump past that dark endless pit. But as you do so, your energy drive gains in power and you are unstoppable. So I guess I could say it is a double edge knife as you can easily put self down with the battles going on inside you, but always a win win situation as well, since you do not sit in the darkness for long. Your best step forward in life is to try and realize as early in life as possible, that mistakes in life will always happen, as such is the life learning process. If you try and go through life expecting things always happen your way, and everyone will bend your way, than disappointments will feel greater and more devastating to you. So accepting the unexpected and learn to roll with it through seeing the good in the situation and use the bad to learn from it, will naturally build on emotional resilience that will help concur the fear and allow you to rise above it. You can’t help but inspire everyone around you, and with your constant interest and hunger for knowledge, there is always something new you add to your game plans. You are born to lead in private and professional environment, there is just that voice inside you that is powerful and loudly opinionated, dragging you into leading positions, even when you promise yourself you will take a back sit and just observe. Yeah, that sounds like mission impossible doesn’t it. Although there is nothing wrong with it, keep in mind that forgetting your destination in your adventures, and shaking off your humour as well, can make for a very unpleasant realizations at the end of the path, seeing the unsatisfied faces of participants in your adventure. As you tend to overwork yourself and drag people along with you, having no patience and tend to manipulate the situations and opinions to run your way and on your time in order to reach the goal. So even though you value dedication and discipline, don’t forget to have fun along the way. There is also a fun side to the commitment and finishing the project. No need to be all work no play. And realising that, makes for a greater success and happiness, as with more relaxed strings, you will allow for creativity to take place and valid opinions to be heard, but also encourage and allow honesty among your people. Your drive to challenge yourself presents a very seductive factor to your love life, but the down side to it is, that your appetite for challenge has to be fed constantly. And if that does not happen in the relationship, than you tend to get bored and lose the interest, and the need to take the lead turns into a very controlling relationship. So needles to say, it is hard to keep up with you. But there is hope yet. The partners you are looking for should be creative, intellectual and very self sufficient, they keep you on your toes all the time and present a constant challenge, but also give you a sense of security with knowing what they want and seemingly keeping a firm stance on the ground. Living a healthy lifestyle will benefit you, especially since avoiding alcohol, caffeine and sugar should be your main concern. Smoking is another habit you should cross off your list and replace it with plenty of fresh air and exercise, to vent the emotional overloads occupying your life. Emotional and physical burnout is your number one health issue you will encounter. You tend to occupy your mind with situations that are absolutely out of your hands and that will cause you down spiral into stress-related illnesses. Talk about your insecurities and make relaxation your number one priority. You are definitely drawn to careers that allow you to be your own boss or to lead the way for others. You do good in challenging environment that requires you to constantly learn new strategies and fact of your interest. Some more visible directions of career choices are politics, education, medicine, geology or engineering, sort of any career that gives you the freedom to constantly evolve and be the leader or CEO in what you do.